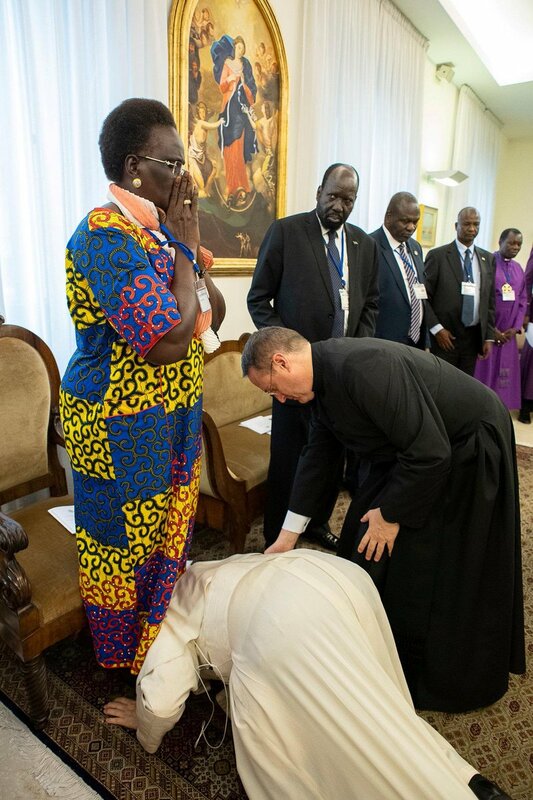 Emerging report indicates His Holiness, Pope Francis has kissed the feat of South Sudan’s warring leaders urging them to maintain the peace in the troubled country. 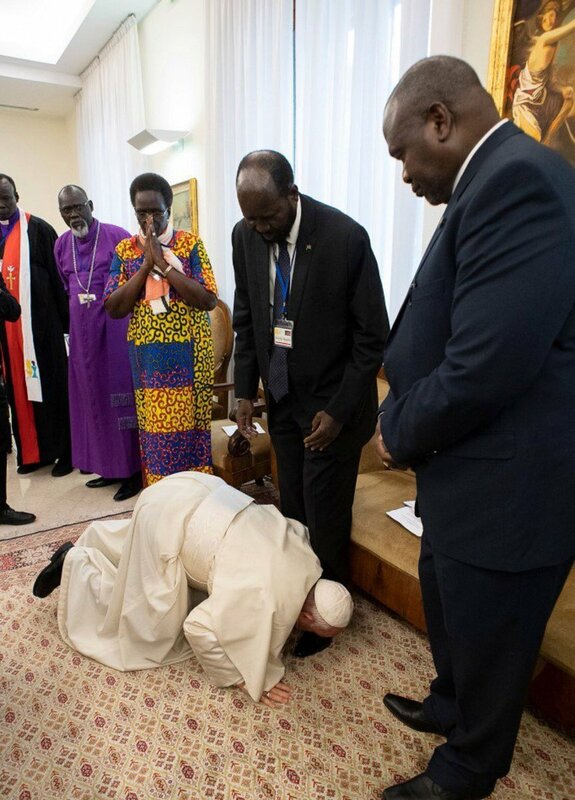 The Cable reports that the Pope during an event on Thursday at the Vatican pleaded with President Salva Kiir and Riek Machar, his former deputy turned rebel leader, and three other vice presidents to honor the armistice they signed and commit to forming a unity government in May. “I am asking you as a brother to stay in peace. I am asking you with my heart, let us go forward. There will be many problems but they will not overcome us. 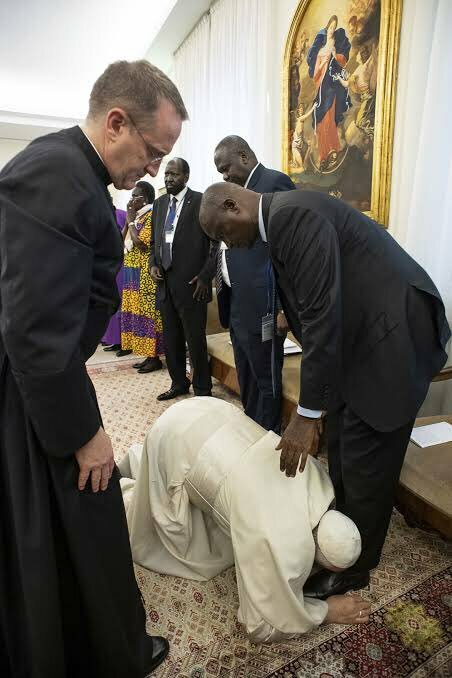 Resolve your problems,” the pope said after kissing their feet. Recall that Kiir and Machar had clashed in 2013, leading to a civil war that left roughly 400,000 people in South Sudan dead. The duo, however, signed a peace agreement in 2018 that brought the war to an end. The pontiff’s dramatic and unprecedented gesture is coming barely hours after the military in neighboring Sudan ousted President Omar al-Bashir, its longtime leader, after 30 years of authoritarian rule.